Lorella Fatone, Dipartimento di Matematica e Fisica, Università di Camerino, Camerino, Italy. Francesca Mariani, Dipartimento di Scienze Economiche, Università di Verona, Verona, Italy. Maria Cristina Recchioni, Dipartimento di Management, Università Politecnica delle Marche, Ancona, Italy. Francesco Zirilli, Dipartimento di Matematica "G. Castelnuovo", Università di Roma "La Sapienza", Roma, Italy. This ebook contains a set of slides that can be used to present lectures in a graduate course or in a research seminar in mathematical finance. The ebook is divided in three chapter, each chapter is divided in three sections, each section contains a set of slides that can be used to present a lecture. The lectures are independent one from the others. 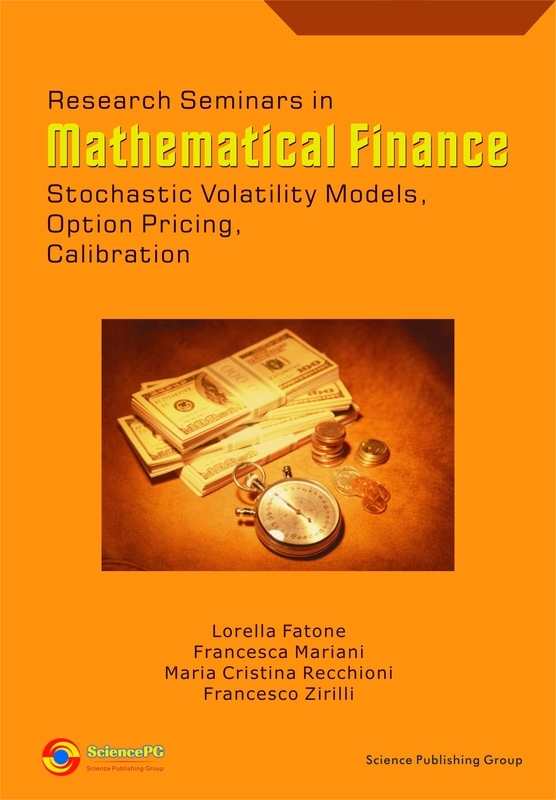 The lectures discuss the results of the research in mathematical finance of the authors during the years 2007-2012. The results presented are concerned with the study of stochastic volatility models (Heston, SABR models and their generalizations), and in particular with the option pricing and calibration problems relative to these models.These results have been published in papers appeared in academic journals. The papers are complemented with multimedia material and mathematical software available on the web.